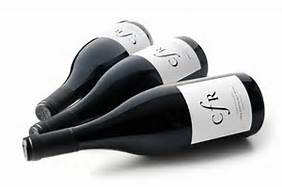 Casey Flat Ranch-CFR-Syrah-Cabernet Sauvignon-Cabernet Franc-Capay Valley-California-2010-14.8% Alcohol-$19.99-A nose of dark fruits and some spice, dark purple in color. A medium to full bodied red blend, with blackberry, blueberry, cinnamon and spice on finish, a good denseness to the mouth feel. Drinking really well right now. NR CR-89 Good with meats, chicken, pasta. Sylk Cellars-Cabernet Sauvignon-Carlyn and Barton Vineyard-Napa Valley-California-2009-14.0% Alcohol-$29.99-A nose of dark fruit and some spice, dark garnet in color. A medium to full bodied Cab, with black cherry, herbs, tart, off balance, over priced. NR CR-84 God with meats, chicken, pasta.